Use CHKDSK like a geek to fix hard drive problems! Want to check your hard drive for problems and have your computer fix them? Today I’ll show you how to do this using a method that’s usually only used by technicians, because the typical computer user is not aware of it. 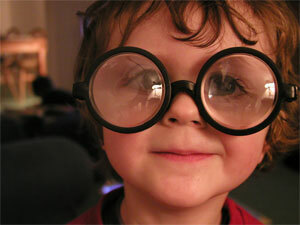 Maybe you are a geek after all! At my computer repair office here in Safety Harbor, Florida, I regularly have people that bring me their computer because it won’t boot up. Or it suddenly started running very slowly. Or it has lately been doing some very odd, random things. These things are often evidence of a hard drive that is failing (or has crashed completely). If I test the drive and find that it is indeed failing, the repair for that situation is to just replace the hard drive. Hopefully the computer’s owner has a recent system image backup (a backup that saves EVERYTHING on the hard drive) so we can put all of the important documents, pictures, etc. on the replacement drive. BUT – did you know that you can actually do regular maintenance on your computer’s hard drive, to help it last longer? It’s true. When you run this process, you are going to feel like a True Geek! And it’s surprisingly easy! The process is known as CHKDSK, an abbreviated form of “Check Disk”, because that’s what it does – it checks your hard disk for problems, and fixes them. To clarify, that’s “chkdsk”, then a space, then “c:”, then another space, then “/r” (of course without the quotation marks). This tells the computer to run the chkdsk, and the drive to run it on is drive C, and if it finds any errors, to repair them. 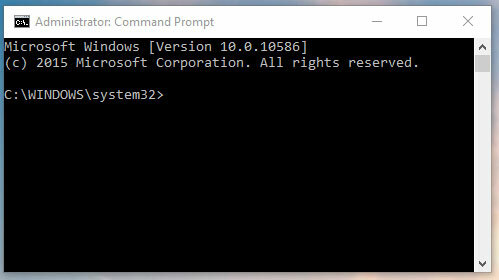 When you type that line and hit Enter, you’ll get a message that CHKDSK cannot run right now, but you can request that it runs the next time you restart the computer. Click Y for Yes, and hit enter. Final step is to restart the computer, so do that now. This will not be a normal computer restart. When the computer comes back up, before going into Windows, it will tell you that disk checking will run in X seconds unless you hit a key (any key) on your keyboard. If you do that, of course, it will skip the disk check and just boot into Windows. So in order to have the CHKDSK process run, just let it run. If your computer’s drive does not have any errors, disk checking will be done pretty quickly (a few minutes or less). I’ve had some computers with lots of hard drive errors take several hours to run. If that happens, don’t be surprised if the percentage showing seems to be stuck at a certain level for quite some time. It’s just finding problems in a certain spot on the hard drive and fixing them, so it has to spend some time there. When it’s done, the computer will just continue and boot into Windows. If you find that your computer does take a long time to run CHKDSK because it is fixing lots of problems, it might be an early sign that the hard drive is failing. That means you better make sure you have a good backup NOW. You should have a good backup anyway, but when your hard drive is trying to tell you it’s having problems, it’s that much more important to make sure your critical files and folders are safely stored somewhere else so you don’t lose anything. I tried to run chkdsk on a windows 7 system based on your 11/28/16 article.But when I get to the command prompt I see c:\Users\Owner>. If I type in chkdsk c: /r at the prompt I get a message that I says I do not have sufficient privileges even though I am the administrator. How would I run chkdsk on this windows 7 system? It sounds like you are just clicking to run Command Prompt. 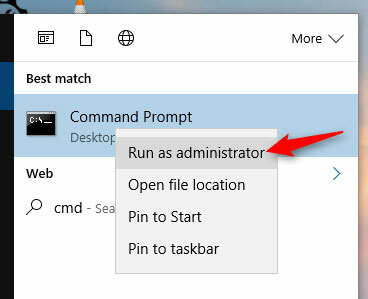 You have to RIGHT click on it and choose Run as Administrator. Hi Scott, decided to do some housekeeping on Toshiba laptop using Windows 10,followed instructions, laptop started scanning, stopped at 10%,left it a while, then the power went off, I plugged charger back on, it went straight back to scanning and repairing 10%,it’s been like that for a few hours now, have I broken it with losing power, what should I do now, help! Just let it keep going. I’ve had some take quite a while. The longer it takes, usually that is an indication of a drive with multiple problems so you might want to have the hard drive checked to see if it is failing. Is that different (from a results point of view) from your method ? Is your method (/r) just fixing file system errors, or also marking bad sectors ? Not sure, but intuitively it seems like the CMD version would be more thorough since it is working outside the Windows environment. And I’m not sure if it marks bad sectors or not.